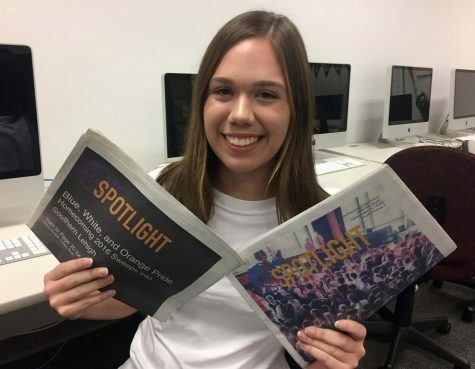 Senior Bridgette Lang is a third-year staff reporter and former features editor, now serving as opinion and our world editor for the Spotlight. In addition, Bridgette is the president of the Feminist Student Union, co-founder of the Southern Lehigh chapter of JSA, a member of the speech and debate team, track and field team, and the National Honor Society, as well as an advisor to the board of Girl Scouts of Eastern Pennsylvania. In her free time, Bridgette enjoys traveling and exploring new places. In the future, she would like to study international affairs and go abroad for a semester.